I'm Robert Rios, South Florida based wedding photographer by day and musician by night. Ok, so maybe I'm a wedding photographer by trade, but music is another one of my passions. Creativity has always been a part of my life. I'm schooled in architecture and have worked as a creative director for an animation studio. My background inspires the way I shoot, which can best be described as a fusion of creative, modern, bright and editorial flair. This is me, in ClifftsNotes format. 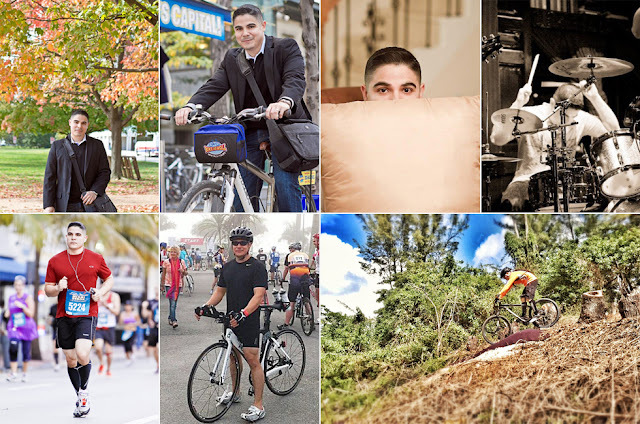 Drums, mountain biking, cycling, marathons, triathlons and kind of shy. Pretty much a nerd that's a huge fan of Star Wars, Matrix, Back to the Future and awesome movies and cool stuff of that nature. Big fan of computers and gadgets and minimal design.